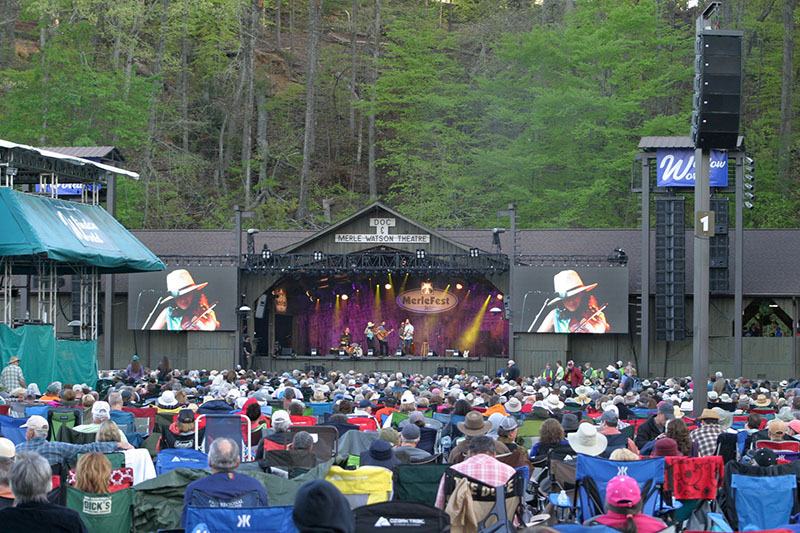 MerleFest 2018 (pictured above) wrapped up its 31st year with more than 75,000 country, bluegrass and Americana fans attending the four-day event. Held on the Wilkes Community College campus, MerleFest was founded in 1988 in memory of Eddy Merle Watson, son of bluegrass legend Doc Watson, and raises funds for WCC scholarships and other educational needs. Founder/CEO Cliff Miller of Greensboro-based SE Systems was working with Doc Watson at the time and his company has been handling audio for MerleFest ever since. 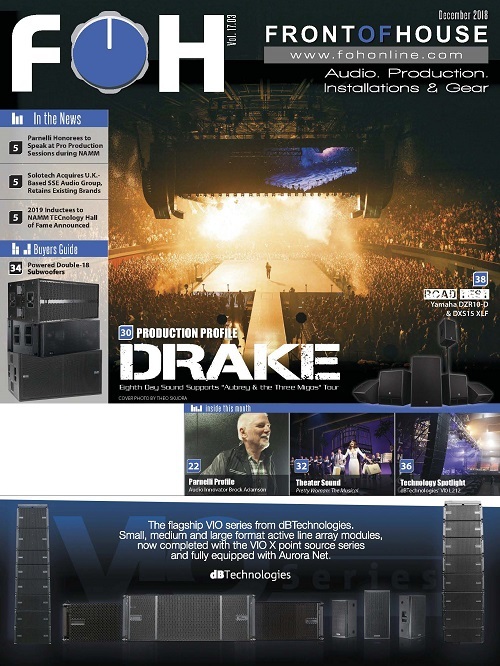 The Watson Stage was the largest of all, with left/right hangs of JBL VerTec VT4889 large-format line arrays (12/side), flanked by (eight/side) JBL VT4880 double-18 subwoofers, flown in a cardioid configuration. At the FOH position was a DiGiCo SD5 console, as well as two SD-Racks loaded with multi-mode optics and Waves bundle. A DiGiCo SD10 handled monitors for the Watson Stage; in fact, DiGiCo consoles were used on nine of the 10 music stages. 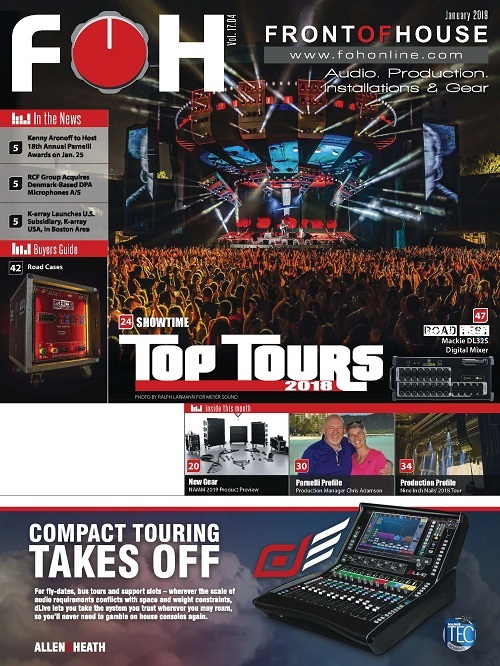 “SD-Range consoles have been the workhorse of the festival for the last several years and now, it’s nearly all we use,” says Miller, who sat in on guitar at many of Doc’s later gigs. 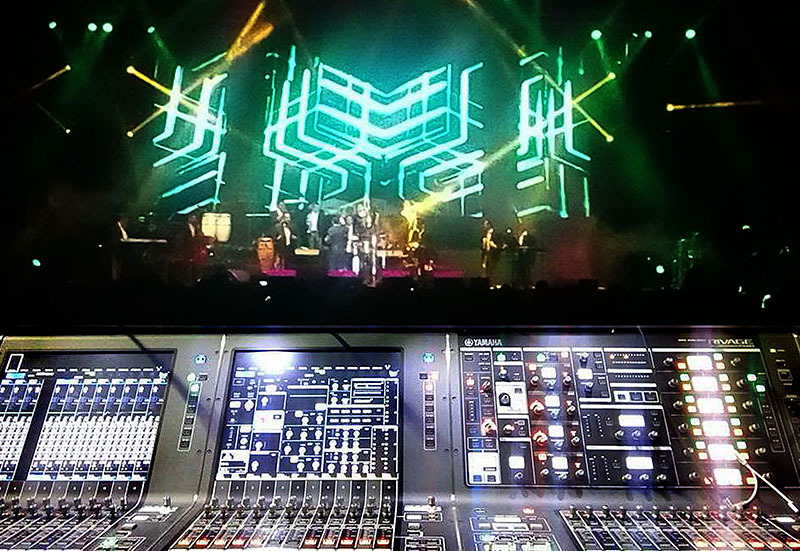 SE Systems had its own SD consoles on site, with DiGiCo distributor Group One bringing in additional consoles, racks and personnel to support the sprawling event. The Chris Austin Stage had a pair of compact DiGiCo S21 consoles for FOH and monitors, both sharing a single D-Rack. The Creekside Stage used two SD10-24 consoles and a shared SD-Rack. The Dance Stage had a pair of SD12 desks and a SD-Rack equipped with the new 32-bit Ultimate Stadius Mic Preamp cards. The Americana Stage used a D-Rack and Little Red Box for its two SD9 FOH and monitor boards. The Traditional Stage kept it simple with one S21 and a D-Rack, while the Hillside Stage used SD12 consoles for FOH and monitors with a shared SD-Rack loaded with the new 32-bit input cards. The Cabin Stage employed an SD11 for FOH linked with a single D-Rack. Indoors, at the Walker Center, two SD10 consoles shared an SD-Rack between them, also featuring the 32-bit cards. 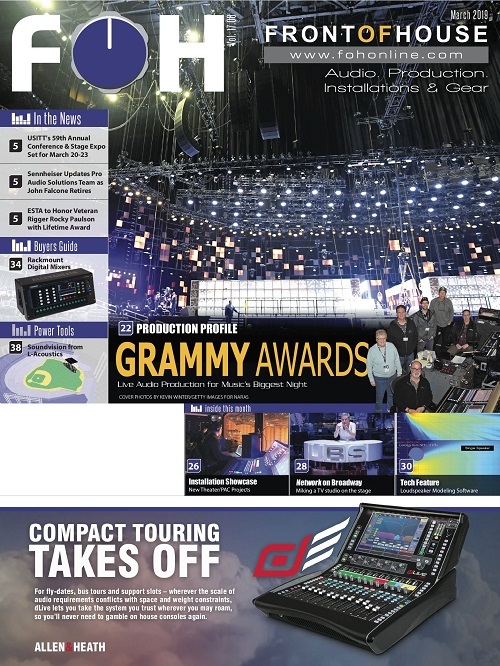 Some artists brought their own DiGiCo SD9 consoles with them, including the Steep Canyon Rangers and Friends with guest Steve Martin, further expanding DiGiCo’s coverage of this festival. Primo Maggio’s main P.A. was an all K-array rig. Primo Maggio (“first of May” is an annual all-day music festival that celebrates Italy’s May 1st Labor Day holiday. 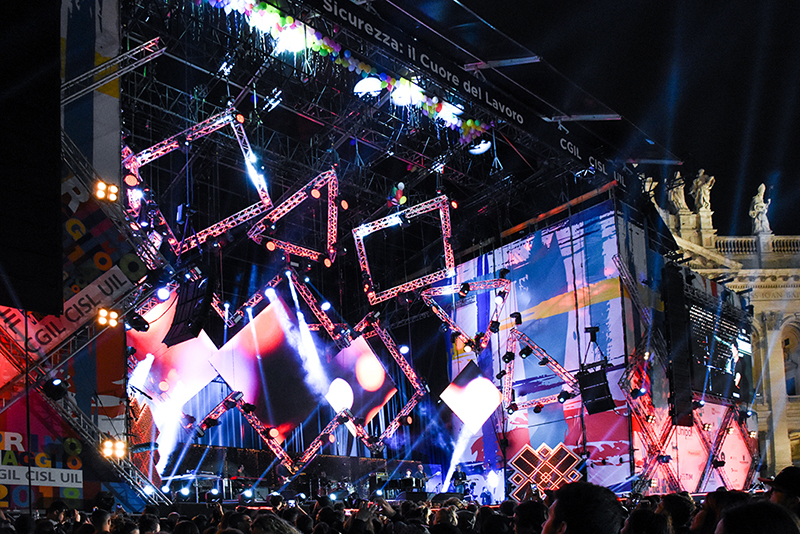 Set in Rome’s Piazza San Giovanni and broadcast live on public TV, this popular national event — with 50+ performances and 200,000+ fans — is a literal musical marathon that begins in the afternoon and ends late at night. 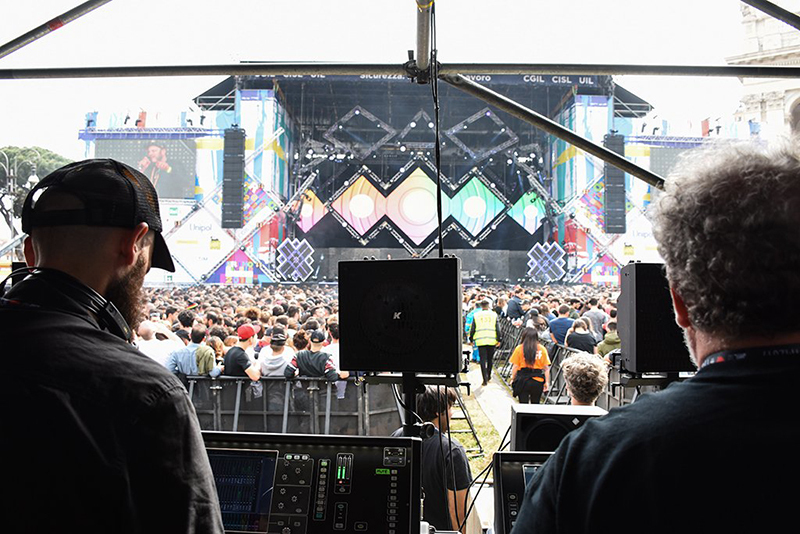 For the festival’s 28th edition, stage managers Toni Soddu and Alessio Martino from ALTO Stage Management selected K-array to provide high-quality sound for international artist Fat Boy Slim and top Italian acts such as Ambra Angiolini, Lodo Guenizi, Gianna Nannini, Max Gazzé, and many others. Two Allen & Heath dLive S5000 consoles handled FOH mixes. Product specialist/system designer Klaus Hausherr and Roberto Marchesi from Italian distributor Exhibo developed a powerful P.A. rig using 24 digitally steerable K-array KH8 Slim Array Technology boxes (12/side) as well as 16 KS8 subs and six KH3 Mugellos used as front-fills. One delay line had six Firenze KH7s; two others each had eight Mugello KH2s. Stage monitoring was achieved with side-fill from six Mugello KH5 and four Mugello KS5 subwoofers; 14 Mastiff KM112 and four KM312 were floor monitors, the drum-fill was Thunder KMT21 subs and two KX12 elements. Other gear provided by Exhibo included Sennheiser Digital 6000 wireless mics and 2000 series IEM systems. The FOH complement had two Allen & Heath dLive S5000 consoles and a compact dLive C-Class C1500 for production mixing. Four K-array Axle-KRX202 speakers provided near-fields for the FOH sound engineers — one pair for each of the S5000 consoles. 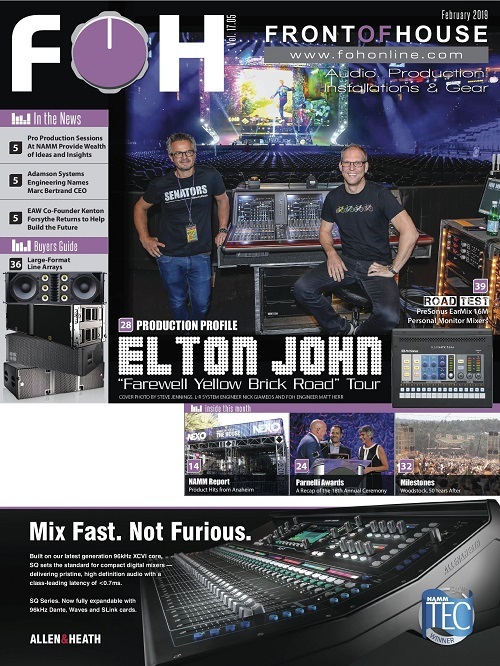 The artists’ sound engineers — including resident FOH Davide Linzi, Simone Squillario and ABC rental company’s Marco Lecci — were impressed with the system’s coverage and uniformity. Power was no issue, reaching an LAeq of 106 dB SPL at FOH. “Usually at music festivals, it’s difficult to find a set standard of audio quality that accommodates all the artists of different genres. But with the versatility and power of the Firenze system at Primo Maggio, we were able to meet everyone’s needs. The system both sounded great and looked great too,” added Soddu. 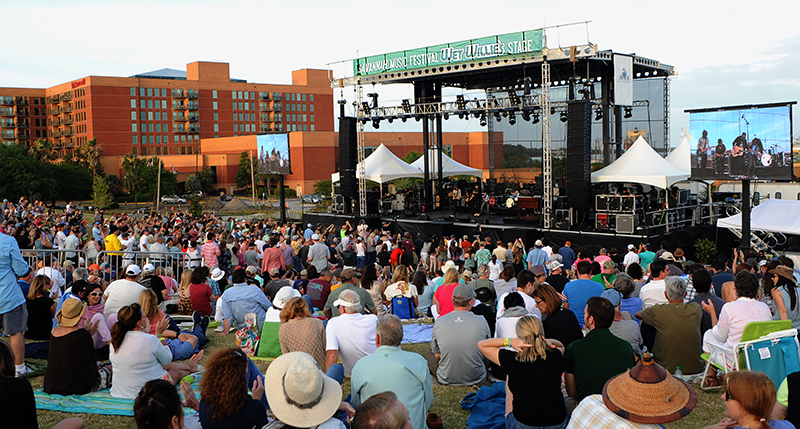 The 17-day Savannah Music Festival ranks as the largest music-oriented arts event in Georgia and draws fans from all 50 states. For the fourth consecutive year, all amplified music venues — with a mix of jazz, world ethnic and American roots styles — were equipped with Meyer Sound systems. The festival was capped with a gala outdoor finale, this year headlining three of the biggest draws in Americana music: The Tedeschi Trucks Band, Jason Isbell and the 400 Unit and Gillian Welch. 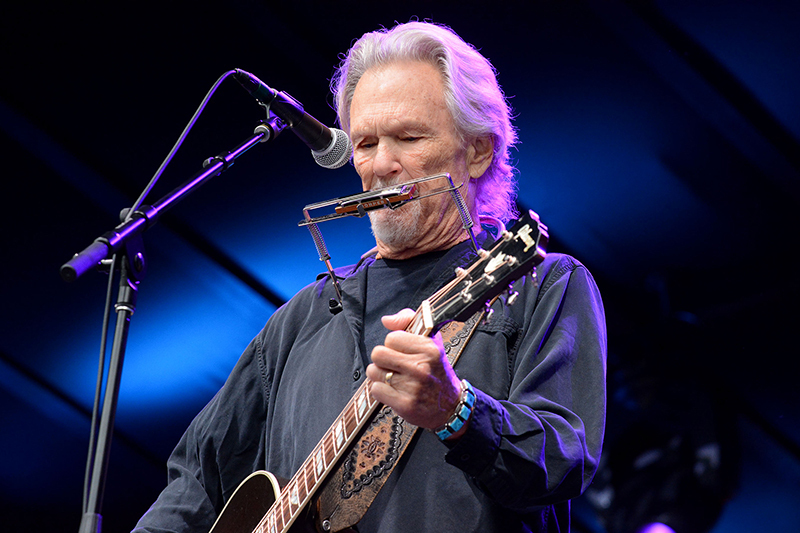 Other headliners on the six stages included Rhiannon Giddens, the North Mississippi Allstars, Béla Fleck and Abigail Washburn, Rosanne Cash and John Leventhal, and Bill Frisell. ‘‘We needed versatile systems that work for any musical genre,’’ says Rob Gibson, the festival’s executive and artistic director. Sound systems were supplied by Atlanta-based Rock-N-Road Audio under the supervision of Roy Drukenmiller. For the outdoor finale in Savannah’s hillside Trustees Garden, the main stage was flanked by main arrays of 12/side Meyer Sound LYON line arrays with bass support from nine 1100-LFC LF control elements deployed as three cardioid arrays. UPJ-1Ps served as front fills and MJF-212A wedges provided monitoring. A DiGiCo SD12 handled FOH, an SD10 for monitoring, and two SD9 desks for the side stage, with both stages hosting alternating performers. Meyer’s LEO family speakers were also at work indoors throughout the festival. 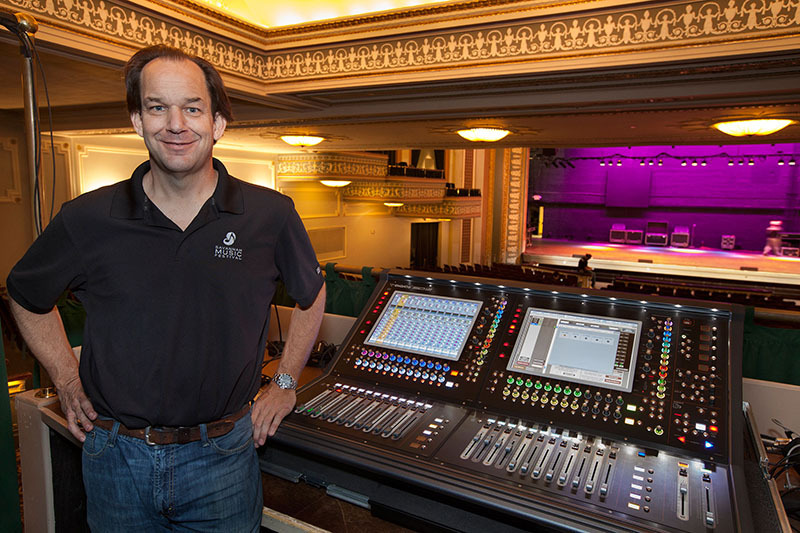 The 1,200-seat Lucas Theater was anchored by 16 LEOPARD line arrays with four 900-LFCs handling lows and a DiGiCo SD12 at FOH and an SD10 on monitors. M’elodies graced the Trustees Theater, point-source systems based around UPQ-1Ps served Ships of the Sea and Morris Center, and JM-1P speakers handled all acts at the outdoor second stage. One SD9 console (FOH/monitors) was at the 700-seat North Garden Assembly Room at Ships of the Sea Maritime Museum and the 1,105-seat Trustees Theater. 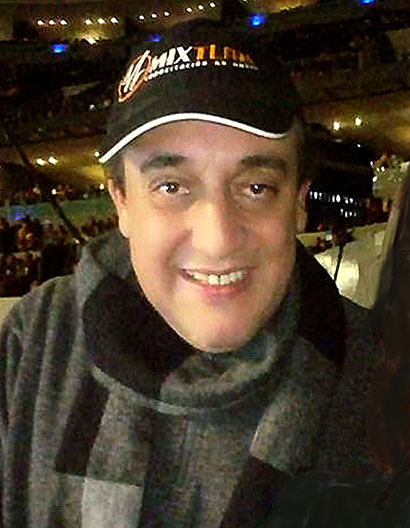 The first Latin Festival of Salsa at the Mexico City Arena hosted some of the greatest exponents of this musical genre, including Víctor Manuelle, Eddie Santiago, Oscar de León (“The Pharaoh of Salsa”) and the Sonora Dynamite of Lucho Argain. The Mexico City Arena is one of the biggest indoor venues in the world, with a capacity of 22,300 seats and 128 suites, with a distance of approximately 100 meters from the loudspeaker array bumper to the rearmost seats. “We needed smooth coverage and a lot of sound pressure levels because we knew all the people were going to be dancing and screaming with salsa music,” states Rodrigo Lopez, who was the festival’s chief sound system engineer. 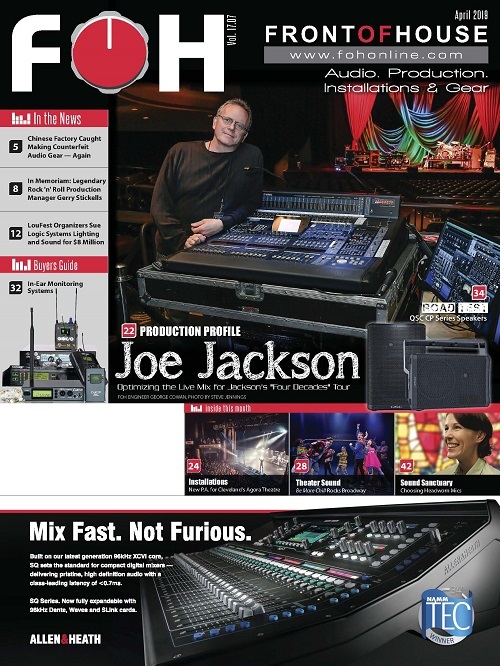 Lopez mixed on Yamaha’s flagship PM10 Rivage console and was particularly impressed with the combination of the RCF mains and the console’s sound, providing a result that was transparent, powerful and natural — even within the huge arena. 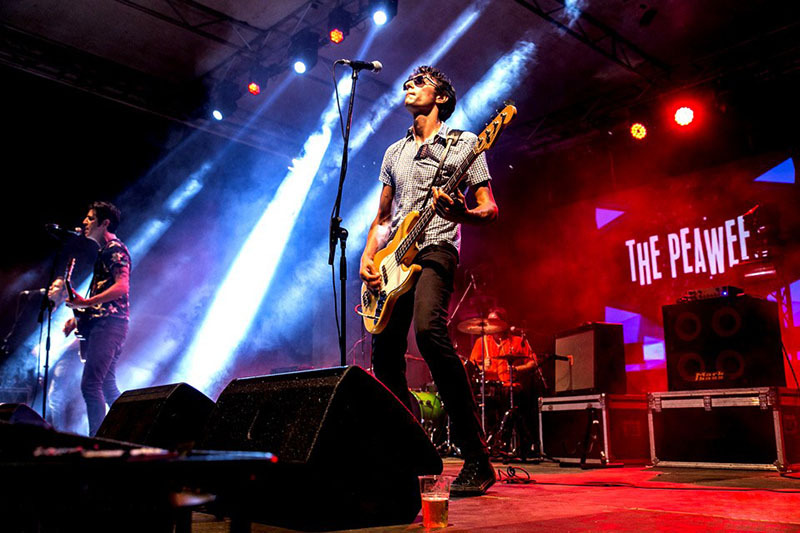 The Beat Full Festival had a mixture of DJ/EDM and rock band performances. Sinergie Group provided VUE al-12 arrays. 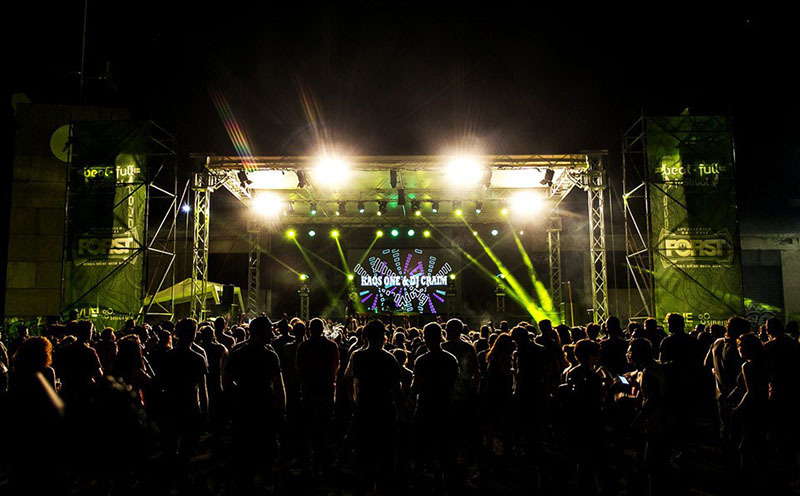 For three days in the Sicilian capital of Palermo, the fifth annual Beat Full Festival boasted a range of performances from hip-hop to electro-rock. Set on a 1.5-acre site, the festival featured Italian rap/hip-hop sensation Ghali. Under the masterful guidance of lead live sound engineer, Rosario “Saro” Tine, Palermo-based Sinergie Group provided system design and rental services for the event. Italian punk rockers The Peawees pumped the crowd. 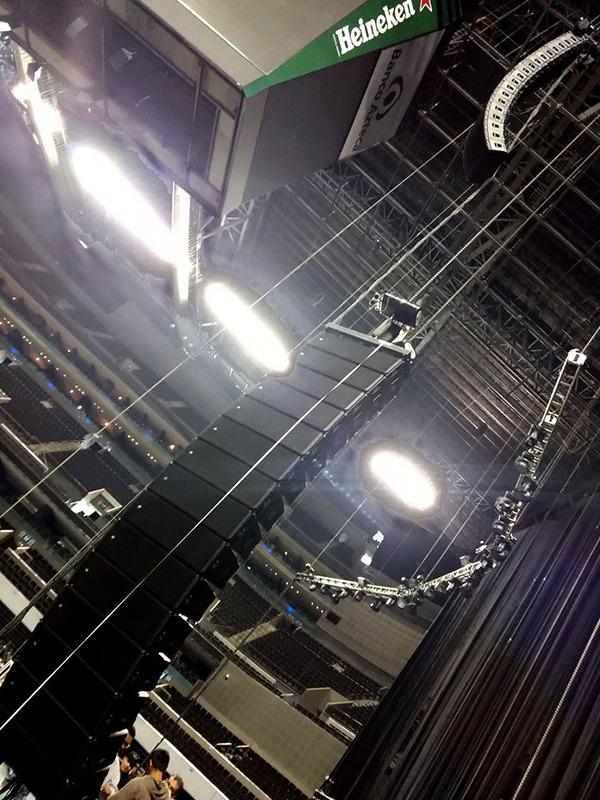 Beat Full’s main stage boasted eight flown al-12 compact line arrays (per side), with eight as-418 subwoofers in the middle in an end-fire configuration, with hs-221 dual 21-inch subwoofers at both ends of the sub array. Smaller al-8 stage-mounted line array elements provided front fill. 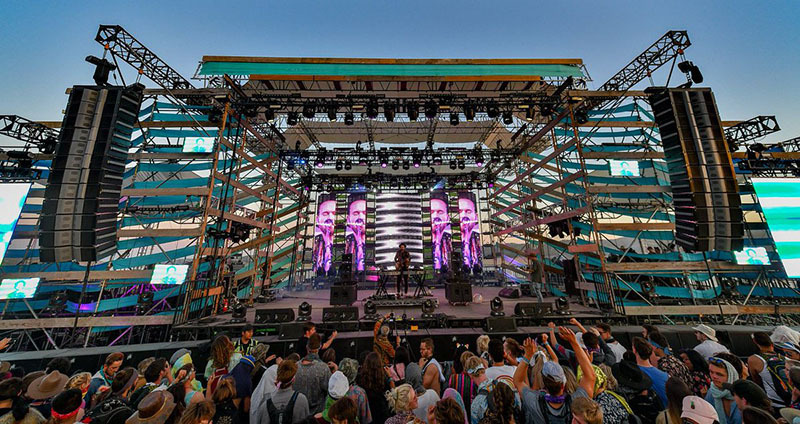 PK Sound’s crew of expert engineers and technicians returned to the Do LaB’s Lightning in a Bottle festival for Memorial Day 2018. An estimated 30,000 fans arrived at Lake San Antonio to play, dance, learn and cool off in the water during the four-day campout. Music on the main Lightning Stage both serenaded the crowd and roared throughout the weekend thanks to PK’s patented technology. Among the featured acts were Anderson .Paak & the Free Nationals, Zhu, Griz, The Glitch Mob, Fever Ray and Sofi Tukker. The Lightning Stage’s P.A. consisted of 24 PK Trinity line arrays (12/side), 48 PK CX800 dual-18 subs and four PK VX12 medium-format line arrays as front fills. Field delays were a stereo pair of three PK Trinity line array per side — ground-stacked, placed 220 feet from the main P.A. Onstage sound was via three PK VX10 compact arrays and one PK CX800 sub per side as stage side fills for the bands and DJs, as well as 12 PK SW215 stage wedges and two PK Klarity 218 dual-18 subs as drum fill. FOH consoles included an Avid Profile and DiGiCo SD9 feeding PK Sound’s Kontrol P.A. management and two Lake LM26 processors for system drive. The P.A. was plotted and configured using EASE Focus software to pinpoint the angles of the boxes and dispersion patterns. FOH techs Rory Stewart and Ian Hicks manned the fort and accommodated three guest consoles and 10 guest FOH techs. Josh “CT” Sarraulte is on his first tour mixing FOH for The Glitch Mob and Lightning in a Bottle fell early in the tour schedule. “My only goal is to take what The Mob do and amplify it! For this gig it’s all about separation and clarity,” explains Sarraulte. “I was happy with the amount of air I was able to push with the rig. Having this be the first big P.A. that we hit on this run it was nice that I didn’t immediately hit a boxes limitation,” he notes.